Another Blurb for THREE BLONDE MICE! I got a nice blurb for Three Blonde Mice over the weekend from one of my favorite authors, Eileen Goudge. Years ago – and it probably feels like another lifetime ago to her – she was world famous for writing the phenomenally successful Sweet Valley High series for teenagers. Then she moved into adult fiction with another phenomenon: Garden of Lies, which I read and adored. It was the story of two babies switched at birth, and it remained on the New York Times bestseller list for weeks. Now Eileen writes the Cypress Bay mystery series, and her latest in the series is Swimsuit Body. 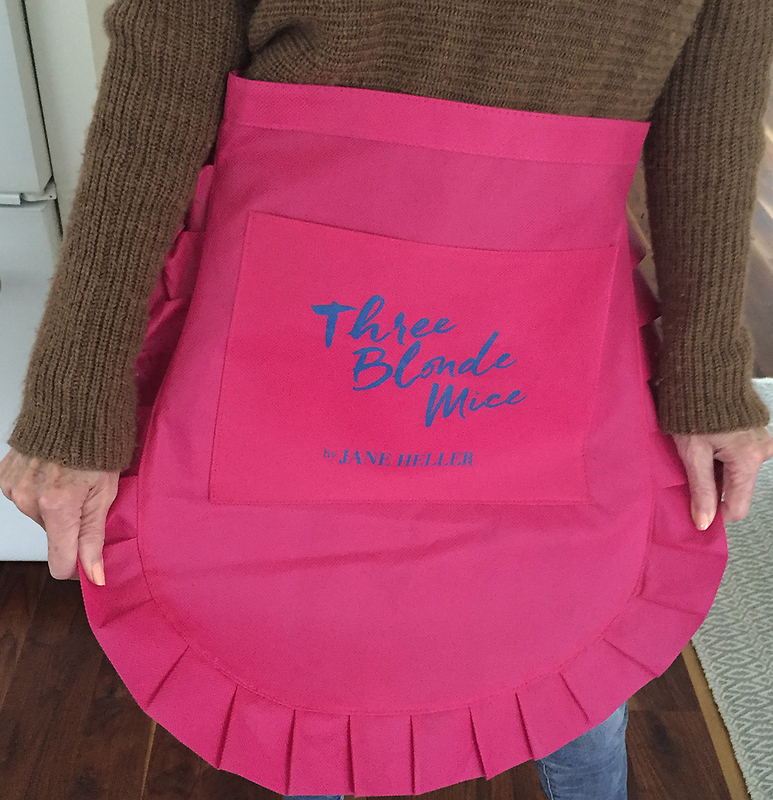 Speaking of Three Blonde Mice, just a reminder that anyone who posts a pic on my Facebook or Twitter page of their pre-order confirmation for the book gets a free apron. Don’t miss out, people! These aprons are adorable!